Every child is different. However, when a student has special needs, those differences may be even more pronounced. When students with special needs are placed in a regular classroom, they may not know how to cope. They may have difficulty getting around, focusing on the lessons, or even hearing the teacher or seeing the lesson. This can lead to emotional distress, acting out, disruptions, or even angry outbursts in the classroom. Even among students who have learning disabilities, there are a wide range of abilities. Some children read hundreds of words a minute; others struggle to read a story far below grade level. Some students grasp math concepts quickly and race ahead to advanced work, while others lag behind, seemingly unable to comprehend basic multiplication. Nonetheless, teachers are expected to accommodate all of these situations, follow every individualized education program (IEP), and ensure that every student gets as high a score as possible on annual standardized tests. This is where the curriculum adaptation specialist comes in, and where a good one proves invaluable. A curriculum adaptation specialist alters the teacher’s curriculum to accommodate each child’s learning style, and compensate for his or her disability. Sometimes, with a few adaptations, the student with disabilities or learning problems can learn just as well as the rest of the class, or at least learn to compensate and cope with his or her learning challenges. With each adaptation you make, you provide opportunities to help support the social, intellectual, and personal development of each student. In previous decades, children who had a difficult time paying attention were disciplined, overlooked entirely, and/or labeled “bad” students. Today, there are a growing number of students identified with autism, ADD, and other disorders such as childhood and adolescent depression. There’s a growing demand to adapt curriculum and lesson plans in order to help these children overcome the problems they face. And as a curriculum adaptation specialist, it’s your job to make it all work. How do I become a Curriculum Adaptation Specialist? The main role of a curriculum adaptation specialist is to determine how a curriculum meets an individual child’s needs, and then to adapt it to each student’s abilities for the best possibility of success. Therefore, you are responsible for understanding the impact a student’s disabilities can have on his or her emotional, physical, social, cognitive, and communication development. As a curriculum adaptation specialist, you must understand the different ways students learn—not only in terms of learning disabilities, but also legitimate but widely differing learning styles. Armed with this knowledge, it’s your task to create instruction and coursework opportunities that can be adapted for learners who may need unconventional methods in order to navigate the learning process. Adaptation specialists must also understand the nature of instructional planning and instructional design, particularly in the context of the school(s) they serve. Any adaptations you make to curriculum or lesson plans will not only be based upon student needs, but also on the needs of the community, school district, and teacher, as well as IEP and curriculum goals. Meeting standardized testing requirements for core subjects is one primary goal that will inevitably come up. Every adaptation you make should also prove student progress, as defined by test results. Students who are physically or cognitively disabled may need additional physical adaptations to the curriculum itself. This could come in the form of lessons in Braille, oral examinations rather than independent reading examinations, adapting difficulty appropriateness for children with limited cognitive ability or neurological disorders, special technology to deliver lessons, and possibly picture instructions rather than word instructions. Some curriculum adaptation specialists work in special education classrooms, adapting grade requirements to specific student needs. However, with the current trend toward mainstreaming, curriculum adaptation specialists may spent a large part of their day assisting teachers in developing lesson plans to meet their specific students‘ abilities and special needs. They may also work with students individually, or in small groups, to work on specific skills that need additional attention. A curriculum adaptation specialist will likely be heavily involved in developing IEPs for a broad range of special-needs students. Through input from the student’s teachers, school counselors, occupational or physical therapists, academic assessments and parents, you’ll collectively determine how best to help children achieve their highest academic potential and have great educational experiences. Some curricular or lesson tweaks you might make include giving students additional time on tests, reading questions aloud to them during testing, having a tutor or assistant present during exams, or supplying additional tutoring throughout the year. The curriculum may need to be adapted in other ways as well. Pictures may need to accompany a text, to help the student decipher meaning; or a student may be allowed the use of additional technology, such as an iPad, to help them grasp and research concepts. Students may even need special privileges, such as the freedom to get up and move every couple of minutes. 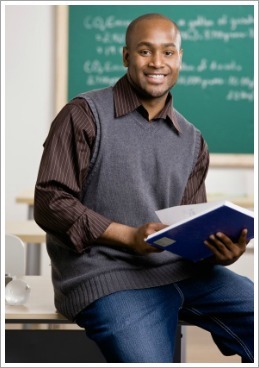 There are many different teaching methods and trends in education. A variety of new therapies and learning strategies are being introduced, with almost alarming frequency. Therefore, a significant part of your job will also be to stay on top of innovations and changes to teaching methodology and learning theory, so that you can help your school(s) and teachers develop the most effective curricula for their students. Curriculum adaptation specialists have many options available to them when it comes to employment. In fact, less than half of curriculum specialists work for public school systems. The remainder work for private schools, state governments, corporations, and family service providers. Teacher instruction on using technology in the classroom for special needs children is one of the fastest growing areas of this profession. One of the main drawbacks in working as a curriculum adaptation specialist is the long hours you may be required to work, especially during certain times of the year. You may also have to travel between schools. However, the higher salary can help make up for the longer hours and drive time. Special certifications can often benefit curriculum adaptation specialists, as they’ll need to understand students with multiple disabilities and develop lessons tailored to them. The National Association of Special Education Teachers provides many teaching resources, including help in obtaining certifications, learning new teaching methods, and securing teaching contracts. The position of curriculum adaptation specialist is one of the higher-paying ones in the field of special education. Beginning specialists can expect to start at around $30,000 to $40,000, while experienced specialists can earn more than $75,000 a year. The median income for the profession is around $62,000. Shaving cream: Kids will have a blast making shapes, drawing, solving math problems, writing letters and words; then erasing and start all over again. Substitute sand: Use rice, corn, dried beans, or moon sand to experience some different textures as children learn to pour, dip, and measure. It’s also easier to clean up than regular sand. Water play: All you need is a small tub of water, and a few water or sand toys. Learn about what floats and what doesn’t, as well as measurements, pouring and dipping. Just keep a towel and a spare set of clothes handy! Textures book: You can add things like felt, sandpaper, aluminum foil, fake fur, a piece of corrugated box, or any other texture you can think of, for kids to experience as they learn numbers or letters. You can also teach kids how to fold, tie bows, button, and zip with books like this. Within school districts, salaries are increased based on years of experience, additional education, and additional certifications. Also, keep in mind that when weighing job offers, a significant part of the compensation package includes health insurance, retirement fund matching, contract signing bonuses, and relocation packages. To become a curriculum adaptation specialist, you’ll need a bachelor’s degree in a related field. Several universities offer Certificate of Graduate Study programs for Curriculum Adaptation Specialists, many of which include 20 hours of work-study and field experience. Many curriculum adaptation specialists will be employed as special education teachers; and Board Certification in Special Education (BCSE) from the National Association of Special Education Teachers will increase your marketability. Check your university for other related certifications. Because your job will involve curriculum design, you may want to look into receiving Certified Professional in Learning and Performance Certification (CPLP) from the American Society for Training and Development (ASTD). This organization also offers training and resources that will keep you up to date on new research regarding learning modalities. Additionally, you’ll need to complete a teaching certification program. Each state has individual requirements for this, so visit the Teaching Certification website to find out exactly what your state requires. When your coursework is complete, spending time in a classroom, adapting real curriculum in real time with the supervision of a mentor, will give you some great experience. Working in the field of special education prior to teaching can also help you get a feel for the needs of different special-needs students. You may want to volunteer at a school before deciding that this profession is right for you; more than likely, they’ll welcome the help. For someone who has a flair for curriculum, loves the nitty-gritty of the learning process, and has a heart for special needs students, this might be the career choice for you.